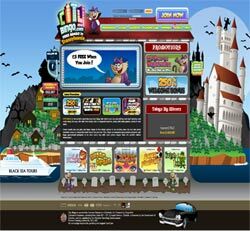 City Bingo is a buzzing bingo site with a fun city theme. The feline mascot CityCat visits a different city every month and all the promotions and prizes are based on this destination for a unique twist. In our City Bingo Review we”l see that the site is busy and has an atmosphere of activity with a colourful cityscape in the background and images from that month’s location. Players can see the latest games and bonuses on the homepage, while a simple menu means you can access all areas of the site at the click of a button. The CityCat character is one of the best features of the site and this lovable chap features on all the promotions for some extra fun! City Bingo is the perfect choice for bingo players who want the excitement of city life mixed in with their bingo playing. The site has a wide choice of games including 75 ball bingo, 90 ball bingo, slot games, progressives and big jackpots. Plus, free bingo action is available 24/7,hours a day, 7 days a week, which means players can enjoy non-stop bingo fun all day every day in the city! One of the best things about playing at City Bingo is that you have the chance to win a souvenir from a different city each month with the Souvenir games playing every Wednesday, which can include top treats such as food hampers, entertainment gadgets, DVDs, days out and quirky gifts. The guaranteed jackpot games play each night and are named after various city-themed locations, such as Winners Highway, City Tour Bus and Main Attraction. There are also team games, chat games, slots tournaments, and now city has gone mobile you can play on your mobile and tablet too for bingo and slots fun on the move! New roomies at City Bingo can claim a 250% welcome bonus on top of their first deposits and enjoy free entry to The Free Welcome Guide, a special game with a £10 jackpot up for grabs every 60 minutes. Regular players can enjoy a 50% re-deposit bonus on top of every reload and head straight over to The Daily Depositor, where there is a new £20 jackpot game playing every hour. Plus you can access the Break the Bank game for a week after depositing for the chance to get City Points and cash. There are heaps of city-sized prizes waiting to be won in the constantly updated promotions. In addition to all the games and prizes City players can also collect Diamonds as they rise through the VIP levels and exchange these glittering gems for free cards to bingo games bonus cash, real cash and much more. City Bingo is owned by bgo Entertainment and is licensed by the government of Gibraltar. City players can be sure that their personal information is kept secure and safe as the site is up to date with the latest encryption technology. Players with a query can easily contact the support team at City Bingo. Click on the Help button in the top menu to access a useful FAQ section or contact the support staff by e-mail, phone or live chat.